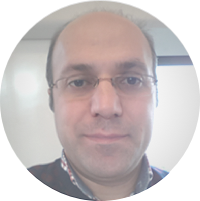 Askin is an avionics technician with 16 years’ experience, and received a Bachelor Business Administration degree from the University of Anadolu. He worked at national aviation companies and prominent international institutions. He is fond of reading, traveling, researching and communicating. His interest now stands on meeting new people who have a great passion to learn languages.